Whatever your movement modality – yoga, Pilates, personal training, rehabilitative exercise, or dance teachers and therapists – Anatomy Trains offers skills that movement professionals can use to see their clients more clearly and work more effectively. Traditional anatomy is so static, but humans are constantly in dynamic movement – Anatomy Trains gives you that transmission from muscle to muscle through the fascial fabric. 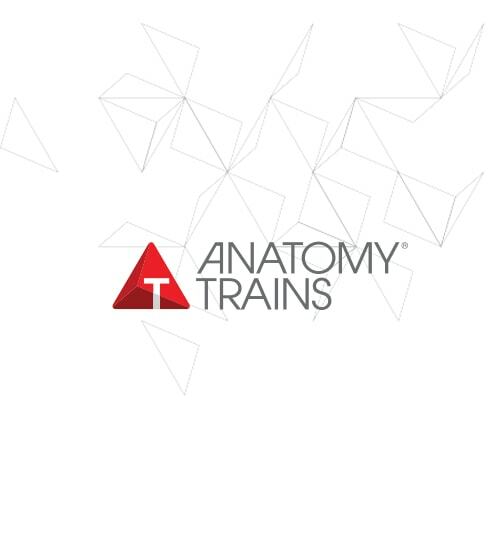 Thomas Myers’ Anatomy Trains® weekend intensives are holistic, fun and very useful. The Anatomy Trains concept moves beyond mechanical “cause and affect” actions of muscles to the integrative relational connections of real-life functional movement. Completely transform your view of myofascial anatomy and expand your ability to assess your clients’ postural and movement patterns. stretching, “awakening”, and touch-cueing techniques from our (and your) movement education library. Understand basic properties and connected nature of fascia, and tensegrity applied to fascia and human movement. Apply knowledge to construct alternative movement strategies to help unwind and resolve the patterns observed. Anatomy Trains workshops are frequently modified for particular audiences, such as yoga or Pilates, and these variations would emphasize the movement implications of these continuities over manual technique or other approaches. Please be certain that you are enrolled in the proper format of Anatomy Trains to fit your needs.